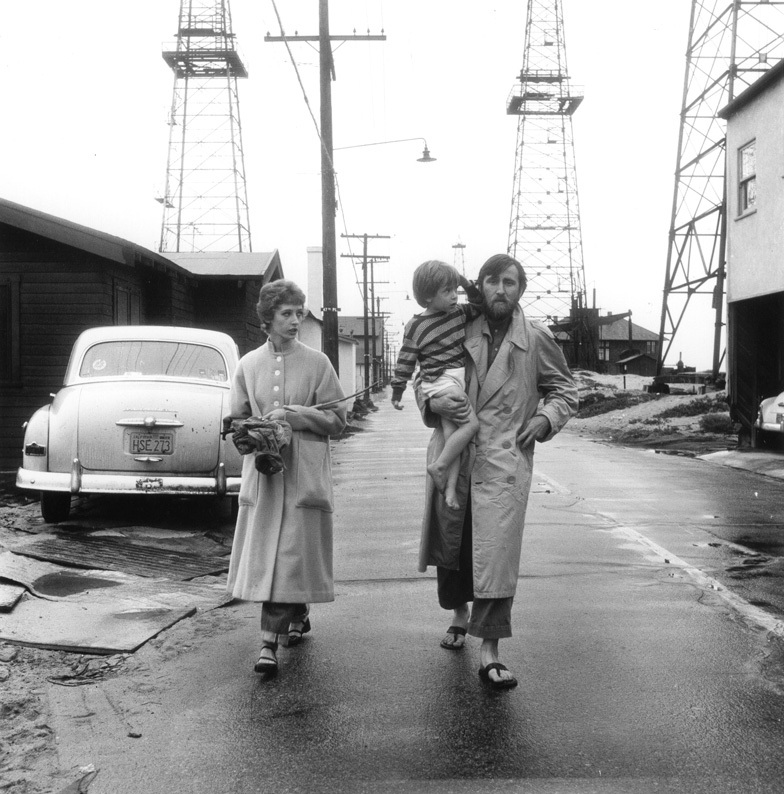 In 1951, Charles Brittin, a mailman and amateur photographer, moved to Venice, Calif., and began to photograph his surroundings: the desolate streets and misty midways, the oil derricks erected by the beach and the vibrant Beat community, with the artist Wallace Berman at its core, that gathered regularly at Brittin’s apartment for impromptu parties. He never intended for these images to be exhibited, but now many of them, as well as his later work documenting the civil rights movement, are being shown for the first time in “Charles Brittin: West and South,” a retrospective exhibition opening this Saturday in Los Angeles at the Michael Kohn Gallery, and in the beautiful companion monograph published by Hatje Cantz.Curated and edited by Kristine McKenna, who met Brittin in 1998 while researching a project on Berman, “West and South” represents the last of Brittin’s available body of work, including some of his original prints from the 1950s. Having discovered the photographer in poor health, living in a house “covered in negatives, contact sheets and prints,” McKenna spent seven years organizing his archive, eventually placing it with the Getty Research Institute. Brittin’s ’60s work offers a visceral, compassionate look at the marches and demonstrations for racial equality in Los Angeles and down south as well as an intimate view of the Black Panther Party’s L.A. contingent. But his more personal portraits from the Venice years may be even more revelatory to viewers, as they depict a time of seemingly unlimited freedom and creative expression. The bearded and sandaled Berman, who published the handmade art journal Semina, and his wife, Shirley, with her delicate bones and enormous eyes, are Brittin’s main muses — exploring, making art, dancing, dreaming, modeling clothing, spending time with their son Tosh — but just as compelling are the images of the Ferus gallery artists like John Altoon and the actor Dean Stockwell, who paid Berman’s bail when he was arrested on obscenity charges at the gallery.